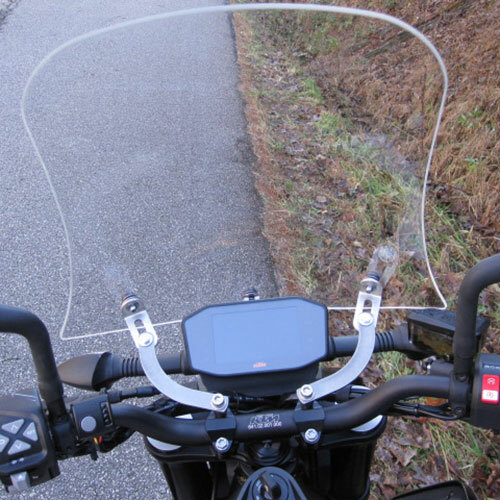 Parabellum designed a Sport Touring Windshield and a Flyscreen for the KTM 790. The Sport Touring shield is made for comfort on long distance rides as well as shorter commutes. It is made of 3/16 inch cast acrylic. It comes complete with hardware and is offered in 3 heights and in clear or tint. 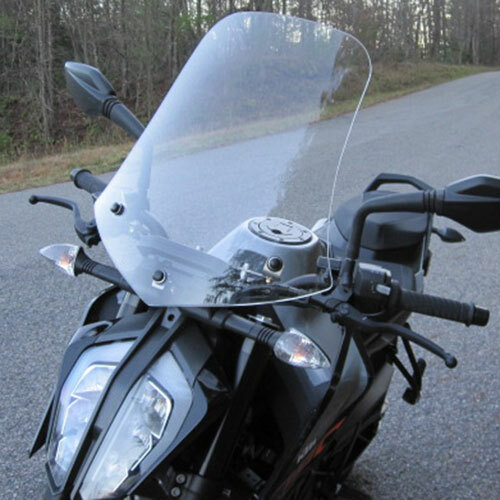 The Sport Touring windshield has a maximum width of 17 inches and tapers to 14 inches at the top.